Hollywood Airbrush Tanning Academy, the reputed training center providing career oriented airbrush tanning classes for aspiring airbrush tanning professionals, has just announced the graduation of yet another student. Katherine Schmoeller, the latest graduate from the academy, has launched her own spray tanning business serving the Santa Clarita Valley and surrounding areas. The Los Angeles based airbrush tanning academy has constantly been in the limelight by helping their trainees build a rewarding spray tanning business. Katherine Schmoeller from Santa Clarita, California has become the latest student of the Hollywood Airbrush Tanning Academy to showcase her talent in the art of spray tanning by launching her business as an independent spray tanning professional. She is offering her service in Santa Clarita Valley and adjoining areas via her just formed brand named Organic Sun Airbrush Tanning. It must be mentioned here that many students from the reputed airbrush tanning training academy have already built their own identity in this growing industry, thanks to the highly effective spray tanning course from Hollywood Airbrush Tanning Academy. Airbrush tanning is a sunless form of tanning that has now emerged as a popular alternative to conventional tanning. Katherine is offering her spray tanning services to individuals and groups at their home, workplace, hotel rooms, or any other place of their choice. The most noteworthy point about her tanning service is that she only uses tanning solutions that are all organic & Paraben free. They include optional slimming agents with anti - aging properties. Apart from tanning, her service also provides a healthy skin treatment. Katherine has been working on and off in the film business to raise her family since a decade. Discussing the future plans for her new airbrush tanning business, she says, "I want to show and offer a safe and organic sunless airbrushed tan to the growing needs of the public. Helping people feel happy is what I love to do. It brings me much joy to see the excitement on someone's face when they see how amazing they look". Organic Sun Airbrush Tanning can be reached at http://www.organicsuntanning.com or at 818-400-1914. 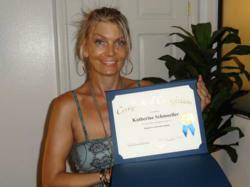 The airbrush tanning training program offered by Hollywood Airbrush Tanning Academy has played a stellar role behind Katherine's instant success in the industry. The high quality training from the founder of the academy Simone Emmons has helped her receive excellent feedback from her clients within no time. 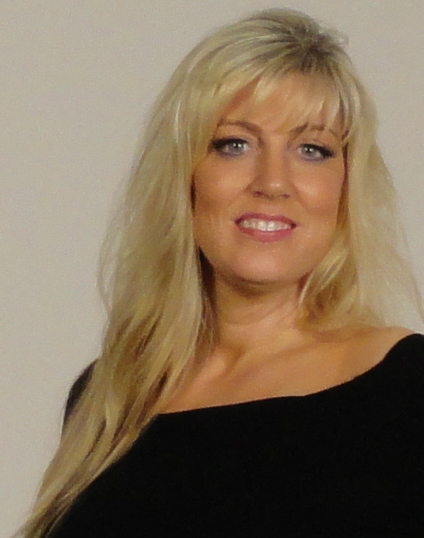 Megan M, one of her recent clients, is all praise about Katharine's spray tanning service. "The level of service at Organic Sun Airbrush Tanning is fantastic. Katherine makes you feel at ease and comfortable right from the start. I had a great tan the next day that lasted longer than other spray tans I have had in the past", she said. Hollywood Airbrush Tanning Academy is located in Los Angeles, California and offers an extensive Airbrush Tanning Certification program to anyone who wishes to learn the art and business of spray tanning. Simone Emmons, the creator of the spray tan training program has been a professional, licensed spray tan technician and teacher and has helped numerous entrepreneurs from Utah, Colorado, Nevada, Minnesota, Arizona, California and the Island of Hawaii and Trinidad start a business in Airbrush Tanning. The spray tan program is unique because it provides hands-on and private spray tanning training to individuals who want to start an Airbrush Tanning Business. According to Emmons, this spray tanning program gives individuals a leading edge in starting an Airbrush Tanning business. Students have the option to choose from a full day course of 10-12 hours or two half day courses of 4-5 hours a day. With the change in tanning bed laws and general tanning apprehension in the public due to health concerns, the spray tan industry is presently experiencing great growth.